With the Winter Olympics in Pyeongchang, South Korea now just a few months away, rosters for the men’s hockey event will begin to take shape over four upcoming international tournaments. With the exception of a few U.S. college players, the odd Canadian junior teenager and some AHLers, most of the top Olympic teams will be made up of players who compete professionally in Russia, Switzerland, Sweden, Finland and the Czech Republic. The top talents from these European leagues will come together to compete for their national teams in the following tournaments in November and December. Karjala Cup (Zurich and Helsinki), Nov. 8-12 — Canada, Czech Republic, Finland, Russia, Sweden, Switzerland. Deutschland Cup (Augsburg, Germany), Nov. 10-12 — Germany, Russia, Slovakia, United States. Channel One Cup (Moscow), Dec. 13-17 — Canada, Czech Republic, Finland, Russia, Sweden, South Korea. Spengler Cup (Davos, Switzerland), Dec. 26-31 — Canada, Switzerland and four club teams. Here’s a quick glance at the top eight medal contenders for the 2018 Winter Games. Player to watch: Andrew Ebbett. 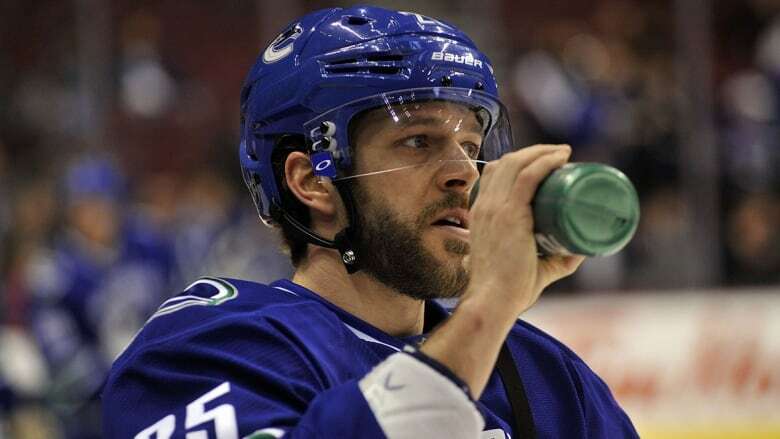 A veteran of 243 NHL regular-season and playoff games, the 34-year-old forward from Vernon, B.C., plays for Bern in the Swiss league. He was a standout for Canada at the 2016 Spengler Cup and sits second in his league’s scoring race with 19 points (five goals) in 12 games. The skinny: Canada has plenty of depth playing in Russia and Switzerland. Burke and his scouts also will keep an eye on the junior loops at home. ​Player to watch: Ilya Kovalchuk. The 34-year-old left wing decided to forego a return to the NHL and stay in Russia for one more season in order to play in Pyeongchang. He has 17 goals and 28 points in 23 games for KHL-leading SKA St. Petersburg. The skinny: Since the Russians were upended by Dominik Hasek and the Czechs in the 1998 gold-medal final, they have just one Olympic men’s hockey medal — a bronze in 2002. But because of Russia’s depth, they will go to Pyeongchang as the favourites. Znarok coaches Kovalchuk’s St. Petersburg team, which set a KHL record with 20 wins in a row to start the season and also features Pavel Datsyuk. ​Player to watch: Robert Nilsson. The 32-year-old Calgary-born forward leads the Swiss league in scoring with 20 points in 14 games with Zurich SC. The son of former NHLer Kent Nilsson has formed quite an on-ice partnership with fellow Swede Fredrik Pettersson in Zurich. The skinny: Sweden won its 10th world championship last spring, defeating Canada in a shootout in the gold-medal final. Of course, in the last non-NHL Olympic Games, in 1994, Sweden also beat Canada for gold in a shootout. Former NHLer Johan Garpenlov is Gronborg’s trusted assistant coach. Player to watch: Eeli Tolvanen. The Nashville Predators selected the 18-year-old right wing 30th overall in the NHL draft last June. He has started his KHL season with Jokerit with an eye-popping 11 goals and 21 points in 18 games. The skinny: The Lehtinen-Marjamaki combination didn’t produce good results for the Finnish team in the 2016 World Cup of Hockey, where the Finns failed to win a game and finished a disappointing eighth out of eight teams. Player to watch: Brian Gionta. At 38, the 2003 Stanley Cup champion and 2006 Olympian signed a practice-only contract to play with his hometown Rochester Americans of the AHL to keep sharp for the Pyeongchang Games. The skinny: Granato played for the United States in the 1988 Olympics in Calgary and was an assistant coach in Sochi four years ago. He coaches at the University of Wisconsin and will use the Deutschland Cup next month as the U.S. Olympic team’s main tryout opportunity. ​Player to watch: Jan Kovar. The 27-year-old forward will be asked to provide offence for the Czechs. He has strung together four consecutive 20-goal seasons in the KHL with Magnitogorsk Metallurg and is on his way to a fifth with six goals in his first 22 outings. The skinny: The Czechs have put together an impressive coaching staff with assistants Vaclav Prospal and Jaroslav Spacek (both former NHLers) as well as Jiri Kalous, the head coach of Sparta Prague. Player to watch: Gregory Hofmann. The Carolina Hurricanes selected the 24-year-old forward in the fourth round (103rd overall) of the 2013 draft. He has scored 10 goals in his first nine games with Lugano HC. The skinny: The Swiss are only four years removed from when coach Sean Simpson of Brampton, Ont., steered them to a silver medal at the 2013 worlds. They have an ability to stifle the opposition with a strong defensive system and outstanding goaltending. Player to watch: The Slovaks are hamstrung by the fact most of their top players — like Zdeno Chara (Boston), Christian Jaros (Ottawa-Belleville) and Martin Reway (Montreal-Laval) — are in the NHL or AHL, and thus not allowed in the Olympics. Left wing Libor Hudacek, 27, had a strong 2012 worlds, when the Slovaks settled for silver. He plays for Orebro HK in Sweden. His brother Julius could be one of the Slovakia goalies. The skinny: Satan hired Ramsay on a two-year deal that takes him through Pyeongchang and the 2019 worlds, which Slovakia will host. The Slovaks surprised some with their trip to the bronze-medal game at the 2010 Vancouver Olympics, but they lost 5-3 to Finland. OLYMPIC WATCH: WHO’S ON THE RADAR FOR CANADA, USA?